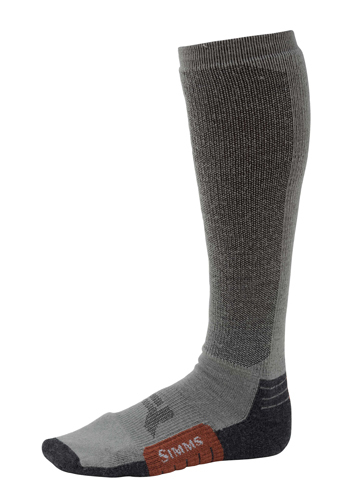 Simms Guide Midweight Sock comes over the calf for varied conditions. The premium merino wool provides excellent moisture management in these new Guide Midweight socks. Additional features include midweight over the calf design, right angle arch support, merino wool for wicking and odor control and extended high-loft toe for added warmth.